As a kid, you loved candy bars. Now that you're all grown up, you try to avoid them because they don't fit in your healthy eating plan. This holiday season, give yourself a break and enjoy the flavors of your favorite treats in the form of these candy bar martinis. From Snickers to peanut butter cups, we have you covered with these sweet, sweet libations. Enjoy them to the very last sip! Remember sinking your teeth into the coconutty goodness of an Almond Joy bar as a kid? Well, now you can enjoy a grown up version of this sweet treat. 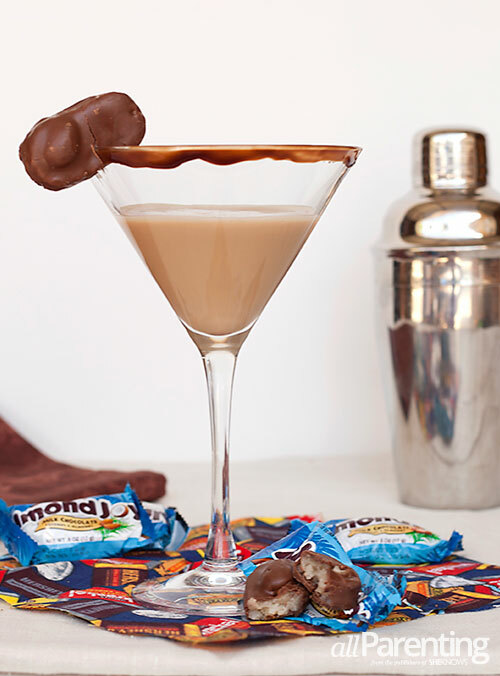 This Almond Joy martini combines the flavors you love of the candy bar into one dessert cocktail. Just try and resist, we dare you. Rim a chilled martini glass with chocolate sauce and set aside. In a cocktail shaker, add Frangelico, coconut rum and Godiva with ice. Shake vigorously for at least 30 seconds to combine. Strain into the prepared martini glass, garnish with the small Almond Joy bar and enjoy! Snickers bars are said to curb your hunger. 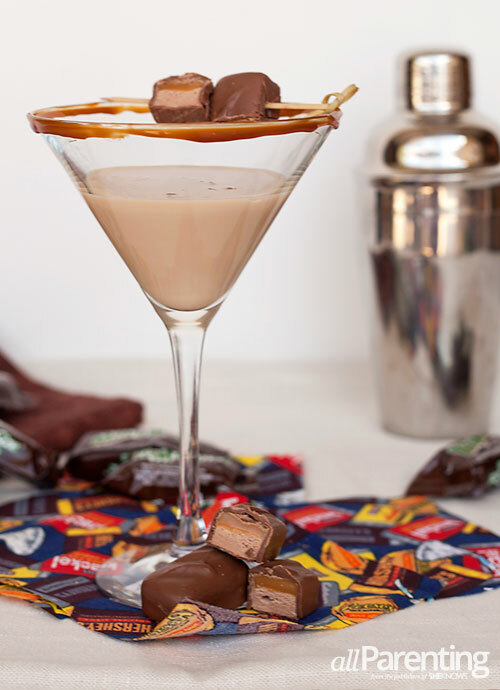 Well, we believe this Snickers martini will curb your thirst — and your sweet tooth. So grab your cocktail shaker and indulge yourself in this delightful candy bar cocktail. 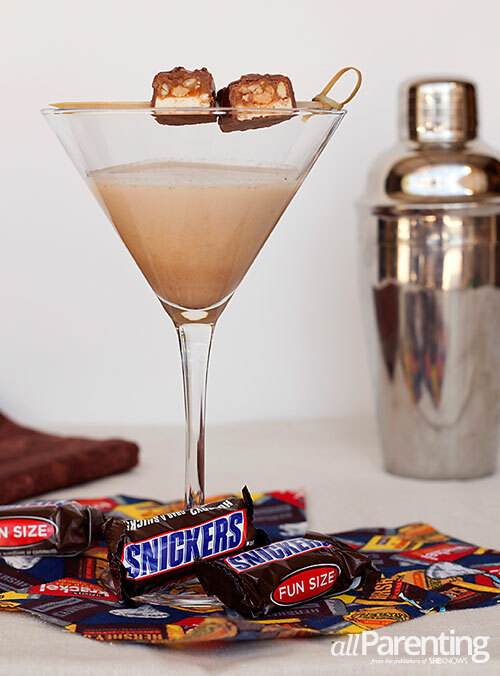 Strain into a chilled martini glass, garnish with a small Snickers bar and enjoy! If you love the creamy goodness of a Milky Way bar, your taste buds are in for a real treat with this drink. The combination of caramel and chocolate in this Milky Way martini is out of this world. One sip and we're sure you'll agree. Rim a chilled martini glass with caramel sauce and set aside. In a cocktail shaker, add the vanilla vodka, Baileys caramel and Godiva with ice. Strain into the prepared martini glass, garnish with a small Milky Way bar and enjoy! The problem with peanut butter cups is that every time you take one out of the wrapper, the kids want a bite. Of course, this means less for you of that special treat you've been waiting all day for. We have the perfect solution for you — a peanut butter cup martini. The flavors of chocolate and peanut butter you love without the need to share so you can sip as slowly as you'd like. Pour a small amount of chocolate sauce in the bottom of a chilled martini glass. In a cocktail shaker, add the peanut butter, vodka and Godiva with ice. 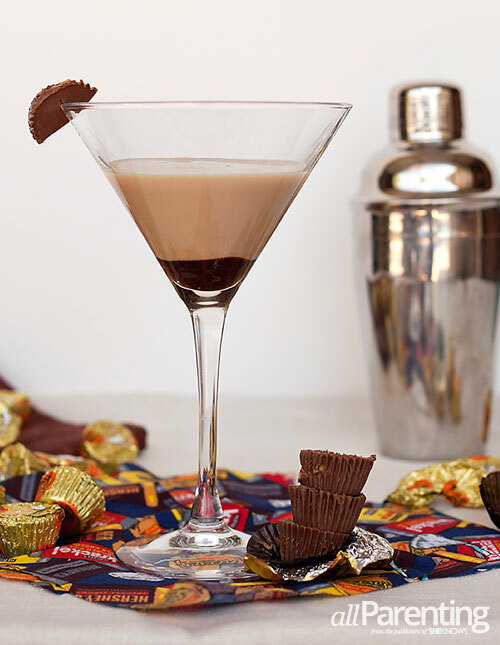 Strain into the prepared martini glass, garnish with a small peanut butter cup and enjoy!